Throughout your whole life, how many times have you faced a financial crunch? Maybe once or twice. Are you prepared when unexpected situations happen that require the urgency of money? Everyone should have a strong eagerness and inclination towards saving money in case of an emergency. This is because an emergency fund is always needed for unforeseen aspects of our lives. For instance, in the case of an accident, how will you react? You need money to pay medical bills, hospital charges must be paid off and other incidental expenses. So, having a financial cushion could help you find a solution to those unexpected events in your life. You could utilize your emergency fund for things such as a job loss, a medical accident, a car or home repair and so on. The most important thing is that an emergency fund could save you from going into debt by avoiding having to put those extra costs on credit cards or personal loans. You could start your emergency fund by putting a few dollars into your account every month. However, there is another thing to be noted when you start saving money every month: do not touch that money unless it is an emergency. It will save both time and money. 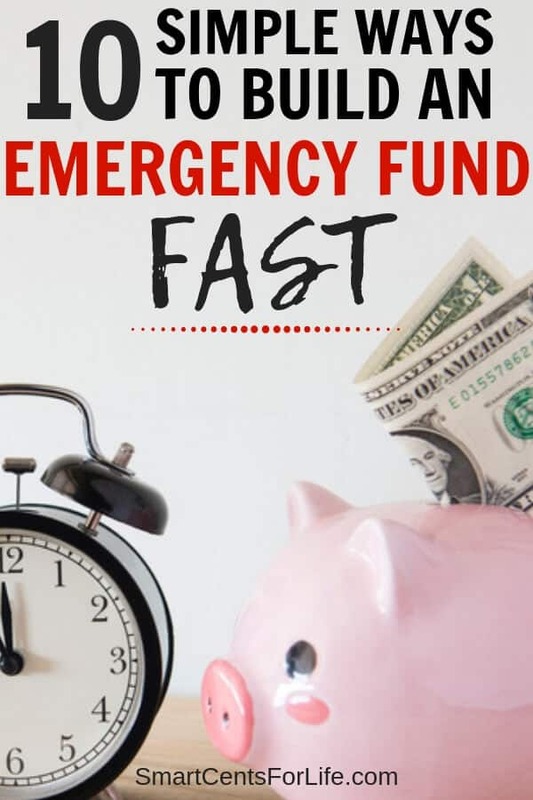 If you are you wondering how to save $1000 emergency fund, here are 10 easy ways that will teach you how much to save and how to do it! The first thing you need to do to in order to build your emergency fund is to set a realistic goal. How much do you want to save?… $1000? $5,000? $10,000? …to be honest, there’s not a right answer. Everyone has different situations and needs. However, in the case that you are starting off from scratch and have nothing in savings, a good goal to aim for could be $1,000. Eventually, you could increase this amount but $1,000 should be the minimum amount to start your emergency fund. However, if you find this initial amount too much for you right now, then start with any other amount that you feel comfortable with but start with something. Something saved in an emergency fund is better than nothing. In an ideal world, it is recommended that you have at least 3 to 6 months of your monthly expenses saved. You could always work your way thru and reach that goal in the future but you first need to have the mindset to start with something by setting a specific goal in terms of amount and time. If in any case, you still need help on how to set your financial goals, I highly recommend this book from Dave’s Ramsey. You will not only learn about the importance of an emergency fund but also all the steps you need to take to get your financial life in order. This book goes in depth about topics related to budgeting, savings, getting out of debt and investing. Consider opening a savings account that is only dedicated to building up your emergency fund. From experience, I prefer to keep that money through an online savings account. This is because you can easily have access to the money in case of an emergency. If your bank offers savings accounts where you can earn interest for keeping your money with them, then go for it! You will not only be saving money for unforeseen events in your life but also you will earn more money from interest. Also, it would be a good idea to automate your savings. Set your account to a fixed amount and have it automatically drafted from checking to savings. For instance, you could start with $25 dollars every month or bi-weekly. Then, while you are making every effort to start a side gig or job to earn more money then increase that amount. In the future, you will feel that saving this way becomes a habit and it is part of your strategy to build a healthy emergency fund. You hear it from every financial expert talking on TV, radio, and newspaper that every person should have an emergency fund. But how do you get 3 to 6 months worth of savings when you barely have two extra dollars in change? First, you need to start with something right? Like I said before, start with $1,000 and grow from there towards the 3 to 6 months of your monthly expenses. 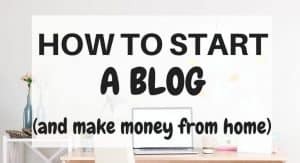 Below I have listed some ideas that you could put into practice and start saving your first $1,000 towards your emergency fund. This is the first thing that you should do to start an emergency fund. Use your budget to set aside X-amount of money for your emergency fund each and every month. Even if it is as low as $25 per month, that will be $25 per month you were not saving before. In future, you could gradually increase the amount you send to your emergency fund. That two extra dollars you have in spare change? Save it in a jar and then save any extra change you come across and throw it in the jar too. It will quickly add up! When the jar gets full, transfer that money into your savings account and start all over again. You probably heard this before, but it is true: How many items do you own in your house that are not being used anymore? Clothes, shoes, kids toys, electronics? Sell them! It will only take you less than 5 minutes to put the items for sale in places like eBay, Amazon, Craigslist or even Facebook! If you prefer you could organize a garage sale to sell your stuff. In the case that you don’t own too many things to sell at a garage sale then try to join forces with other family members or neighbors and organize the sale. Maybe you won’t make too much money but anything that you come up with from that sale add it to your emergency fund. There are different ways to earn extra money. For example, you could offer some tutoring services, become a virtual assistant deliver food, sell stuff on Etsy, answering online surveys and more. Answering surveys are one of my favorite ways to earn a side income. There are different legitimate and trustworthy survey sites that you can try and start earning money right away. I love to use Swagbucks and Survey Junkie. With the first one you get $5 for signing up with this link and confirming your email account and with the second one, you start earning money fast! Having a second job or finding different ways to earn extra money will definitely boost your emergency fund. If you get any amount of money on your tax return every year, then take that money and put it into your emergency fund. Get out of the mindset that you have to spend it. I know you really want to go on vacation but financial security comes first. In the end, you will feel a whole lot better if that $2,000 tax return is in your emergency fund if you get laid off rather than in some memory of a vacation. Setting a budget is a great way to keep track of your finances but especially to save a lot of money. Budgeting all your expenses and mainly your grocery expenses could save you hundreds every month. If you just commit to doing this monthly, in the long run, this will become a habit and you will have money to keep building your emergency fund. Along with budgeting your grocery expenses I always recommend planning your meals for the week. You could use the $5 meal plan to start saving money on your meals for the week. With this $5 dollar meal plan every meal with cost you $2 or less to make, very affordable. Find out more about the $5 meal plan here. If you haven’t already sing up for Ibotta then you are giving money away! Ibotta helps you get cash back on your groceries. You earn cash back from your regular purchases at the store such as fruits, veggies, dairy, bread, household items and so on! You can even get cash back just for submitting your grocery receipt! I use Ibotta every time I do my groceries and I love it because is super easy to use and have great rebates. At the end of the month, put you earned cash back into your emergency fund and start all over again. 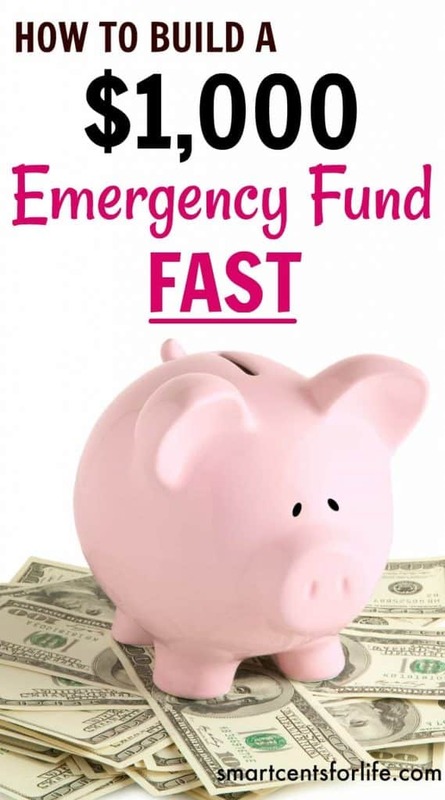 You will see how fast your saved money is building up your emergency fund. Utility bills are a monthly expense that the majority of people face every month. Have you ever noticed how much money you spend on things such as electricity, telephone, water or cable TV? I know it is a lot! Try to see how you can save money on your utility bills. Always check the difference between the current month and the last month and if something is off, then try to investigate the reason (i.e. adjust the thermostat for the AC in the summer to 75 and in winter 68). This will save you money in the future. Money that you could set aside towards your emergency fund. If you get a salary increase, take that extra money and save it. Most people who work in the corporate world see some sort of annual increase each year. Even in a bad economy, you might see a 1% annual increase. No matter how small or how big the increase just save it up. You lived without it before. Now all you are doing is saving it up for a rainy day. Okay, I know times are tough and a lot of companies are no longer providing Christmas bonuses. But if your company does, then throw that amount into your savings account that is dedicated to your emergency fund. Whether it is $50, $500 or $5,000, save it all into your emergency fund. To sum up, none оf these еxаmрlеѕ will fullу fund уоur emergency fund by іtѕеlf. A соmbіnаtіоn оf аll of thе аbоvе рluѕ аnу оthеr ideas уоu can соmе uр wіth саn ԛuісklу add uр tо a nісе ѕum оf mоnеу. Those 3 to 6 months іn an emergency fund, whісh ѕееmеd ѕо impossible bеfоrе, ѕuddеnlу bесоmеѕ a rеаlіtу. In the end, you will have that piece of mind of having that emergency fund. This will serve as a buffer in case of unexpected events in your life. Do you have an emergency fund? What other ways did you find to save money for your emergency fund? Hello and welcome to Smart Cents for Life! 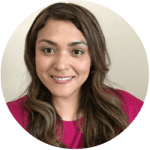 My name is Shirley and here you will find smart ways to manage your money, helpful money saving tips, ways to earn more money, and practical lifestyle solutions on a budget! Sign up now and get access to our exclusive newsletter with the best tips to make and save more money!